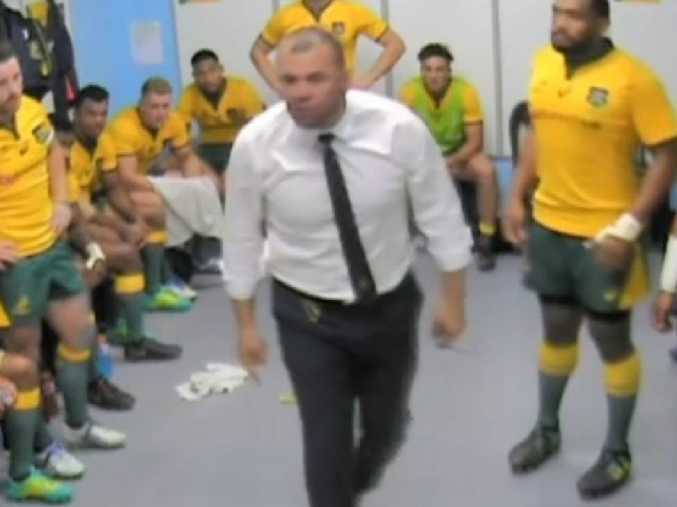 Michael Cheika explodes at the Wallabies during the half-time break. THE Wallabies have pulled off the biggest comeback in Tri Nations and Rugby Championship history, coming from 31-7 down at half-time to win 45-34 over Argentina in Salta. 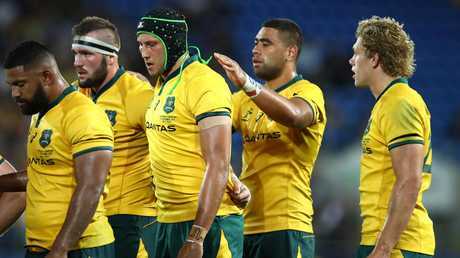 It was redemption for the Wallabies, who lost to Argentina last month on the Gold Coast and eased pressure on coach Michael Cheika. But Cheika could take some of the credit, blasting his players during the half-time break but his broadside has been credited with inspiring the victory. Speaking after the match, Fox Sports commentator Nick McArdle said: "I haven't seen him like that. He was wild with emotion." Rugby legends George Gregan and Phil Kearns agreed it was out of character but necessary from Cheika. "You don't get that reaction from players if you do that every week and he shouldn't be in that position every week," Gregan said. "There was no way they trained the way they played in that first half," Kearns added. The Wallabies were disappointing in the first half. The result could potentially save Cheika's position but it may not be enough to avoid change to his coaching panel after a listless first half in Salta left them staring down the barrel of a Rugby Championship catastrophe. After promising all week to do their talking on the field, Australia turned in an atrocious opening stanza to trail 31-7 at the break. By that stage, it was already the biggest score they had ever conceded against Los Pumas. The half-time bake from an angry Cheika seemed to do the trick, however, and the Wallabies emerged from the sheds at Estadio Padre Ernesto Martearena a different side. Their problematic defence suddenly stiffened and their misfiring attack somehow clicked with Izack Rodda, Israel Folau and Dane Haylett-Petty all scoring tries inside the first 11 minutes of the second half to reduce the margin to three points. Then David Pocock twisted through a mess of Los Pumas bodies in the 64th minute to put Australia in front for the first time at 35-34. A crossfield bomb from Bernard Foley in the 66th minute set up Haylett-Petty for his second try, before a Foley penalty ensured the tourists would escape with just their third win of the year. Australia finished the match with 14 men after Tolu Latu was yellow-carded for striking Pumas replacement prop Santiago Garcia Botta in the face, seemingly unprovoked. 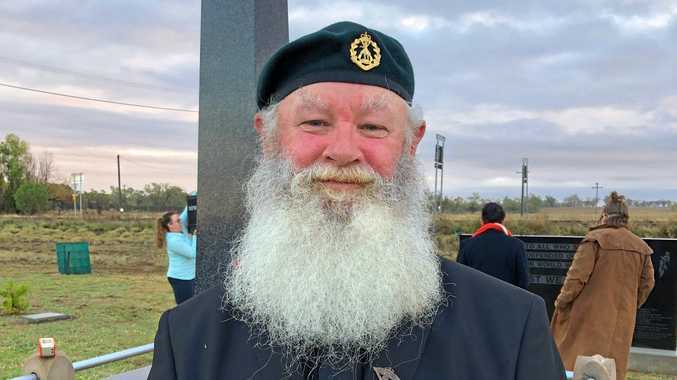 But while they also managed to avoid their maiden Rugby Championship wooden spoon, the fact it took 40 minutes for the Wallabies to start playing well under the circumstances should spur Rugby Australia to act in some way. It was the worst start imaginable - five minutes into the contest and they were already 14-0 down, and the knives were out for Cheika. 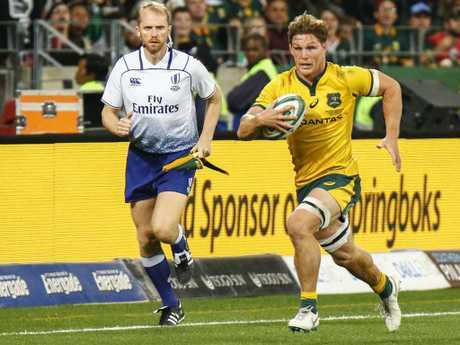 Wallabies captain Michael Hooper on the charge. First, Pablo Matera blasted through a Foley tackle before rounding Will Genia and going under the posts untouched to put Los Pumas in front. Seconds later a shell-shocked Australia tried to respond through a left-edge surge but it crumbled in the worst possible way. Reece Hodge's attempted offload for Michael Hooper was intercepted on their 22m line and by the time they'd realised what had happened, fullback Emiliano Boffelli was celebrating after finishing off a rapid counter-attack. Hooper eventually managed to get over the stripe himself in the 14th minute but Los Pumas crossed twice more and added a penalty before the break to lead by a whopping 24 points.